NAV, DVD, SUNROOF, PWR REAR BUCKETS, PWR RUNNING BOARDS, CLIMATE SEATS, HTD WHEEL, IMMACULATE!!!!!! NAVIGATION, BACK-UP CAMERA, DVD REAR ENTERTAINMENT, SUNROOF, POWER FOLDING & HEATED 2ND ROW BUCKETS, 3RD ROW SEATING, REMOTE START, 20” WHEELS, HEATED & COOLED FRONT SEATS, HEATED STEERING WHEEL, REMOTE START, POWER RUNNING BOARDS, 1 OWNER, CARFAX CERTIFIED, NO ACCIDENTS, NON-SMOKER, JUST FULLY SERVICED, NEARLY BRAND NEW BRIDGESTONE TIRES!!! This Tahoe looks very nice inside & out. It comes loaded up with lots of options including: Navigation with back-up camera, BOSE premium sound with AM/FM/CD/XM radio/USB aux input, leather, sunroof, remote start, dual power seats, heated & cooled front seats, heated rear seats, heated steering wheel, power adjustable pedals, power folding 2nd row bucket seats, third row seating, rear a/c controls & audio controls, 1 touch automatic windows, dual zone fully automatic climate control, 20” chrome wheels, towing package and so much more!! This vehicle comes with all original keys, remotes, books, & manuals. 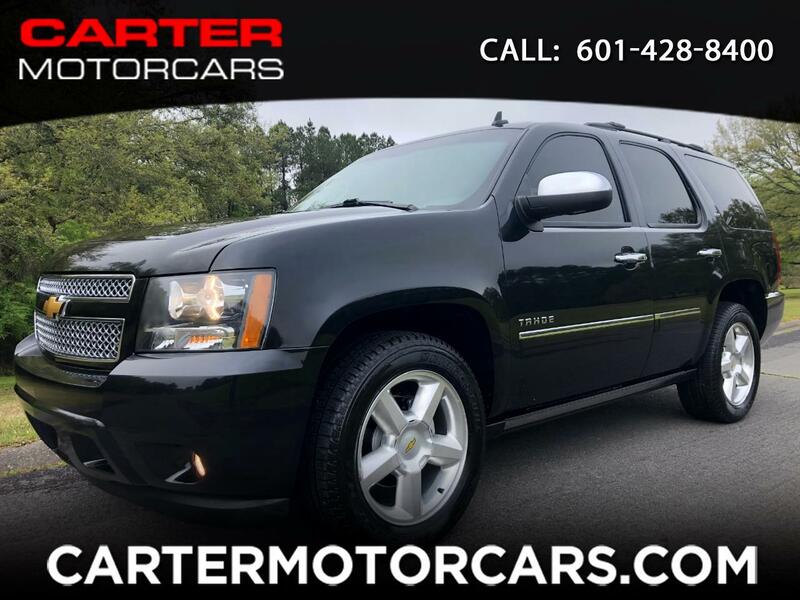 Visit Carter Motorcars online at cartermotorcars.com to see more pictures of this vehicle or call us at 601-428-8400 today to schedule your test drive. 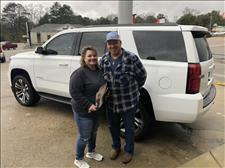 Message: Thought you might be interested in this 2012 Chevrolet Tahoe. Thank you so much Edwin!! It was great doing business with you!! I love my new truck!! !